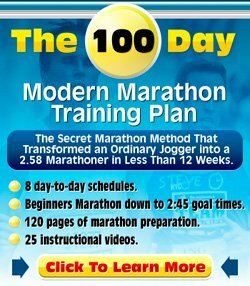 I Want 18lbs Gone - What to do About My Running and My Diet? I am a beginner as far as running goes. I've been running on the treadmill for about 4 months now (but just started to run 5 days a week since a few weeks, rather than randomly and every other day or 3 days picked in advance), but before that I was walking on the treadmill (about 2 - 3 months before I started running) for 45 minutes. I was told that if I started running I would lose weight faster, and in a shorter amount of time. When I began running, I was able to run for 5 minutes. Now I'm at 11 minutes, with of course a 5 minute warm up and a 5 minute cool down. My goal is to lose weight. I do understand that it depends on your calorie intake versus the calories burned. I do understand that dieting helps with weight loss. I am unable to skip meals, due to health issues, but I did remove my favorite from my eating habits (which consists of chips and gummy candies) for the past 2 weeks. I do not drink sodas often, so that has never been an issue with me. I have picked up freaca. I do drink water, powerades and juice. Just to give some more information on my running, which I'm unsure if you would call it running or jogging, but the speed if which I set the run is 4.5 (and it actually reads 4.0 - 4.3 when running) and my warm up is set at 4.1. Once I get done working out, it says about 1.30 miles completed with about 99.5 calories burned (I'm really trying to get to that 100 mark, ha). With all that said, I would like to lose about 18lbs (by Christmas), tone and tighten. Again, I do this 5 days a week, and on Saturday's I walk my dog for about 45 minutes, and Sunday I rest. I'm wondering is this a good workout or am I wasting my time? I want to get back to my size 5 as I am now a 8 and sometimes 7, which I noticed. I enjoy working out, but since I moved it's been years and now I'm trying to get back into it. What do you suggest? I do not mind losing weight gradually- my goal is Christmas, but as long as I get back into a 5 (I used to be a 3 but that is too small) is fine with me. I do understand that as you age, it is more likely for weight to come off slower. My husband, of course thinks I'm fine and does not think I need to lose weight, but helps wherever he can because we both know this is what I want. Again, any suggestions? I do look forward to your response and anyone else's. Thank you. Thank you for your question about wanting to lose 18 pounds. You seem to have a pretty healthy understanding of what it takes to lose weight. So I won't offer a lot of advice in that department. I do want to note though that I do not advocate skipping meals as a way to lose weight. Sure, there are times when we have been really busy & didn't have time to grab breakfast or lunch (I'm guilty of this), but purposely doing it to lose weight is not healthy. Skipping meals signals our bodies to go into starvation mode, so it reacts by slowing your metabolism down which in turn leads to slower weight loss. And it often leads to binge-eating afterwards, so skipping meals is very counter-productive. As it relates to running, eating is extremely important, the calories give our bodies the fuel it needs for our runs. Regular exercise, portion control, healthy food choices & eating smaller, more frequent meals throughout the day will all help add up to successful weight loss results. Also note that limiting the amount of juice & Powerade you're drinking will save on calories. Some 100% fruit juices have up to 120 calories per 8 oz. serving & a larger bottle of Powerade typically has about 200 calories. That adds up very quickly! Water is your best choice when trying to lose weight & for overall general health. Fruit juice seems so healthy, but it has got a lot of sugar in it, whether this is natural or not, sugar is sugar. To get more savvy about your food intake, start counting calories for a while. Myfitnesspal.com offers this service as do many other websites. It will make you a lot more conscious about what and how much you eat. As far as your workout routine goes, you're on the right path. Good job! You're starting out slow and gradually building your fitness level as you are able. It's great to see that you're including warm ups and cool downs in your routine too. I would continue to increase your running time each week, but don't limit yourself to just 11 minutes of running per work out. Pick up with your walking routine again and add that 11 minutes of running into your walking routine. Maybe walk 10 minutes, run 4 and repeat that 3 times. Then gradually increase your running time each week (1-2 minutes). Before you know it, you'll be running a lot more. The additional walking will help you burn calories as well. Those times are just suggestions, you obviously can adjust them to match your current fitness level. It all takes time. It's best to do it slowly to avoid injury from trying to do too much, too quickly or getting burned out and giving up all together. Check out the running for weight loss tips for some more great information. 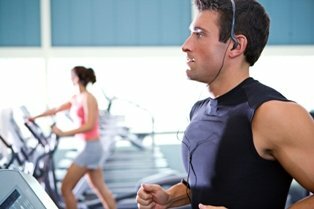 Running in general is good for trimming and toning but you could also do some strength training for added benefit. Sit-ups, push-ups, planks, lunges & squats are all great ways to trim and tone up. While I can't say that you will for sure reach your goal to lose 18 pounds by Christmas, keeping up with what you're already doing and making the recommended adjustments is really going to help you on your journey.